State employees earn at least 25 percent more than similar non-government workers in Connecticut, according to the Yankee Institute’s latest study. It will take time to fix but we need to start today. Since 2011, Connecticut lawmakers have passed the two largest tax increases in state history. Even with this huge influx of taxpayer dollars, the state is projected to be in deficit again by 2017. Taxpayers are shaking their heads in frustration and asking: Why? 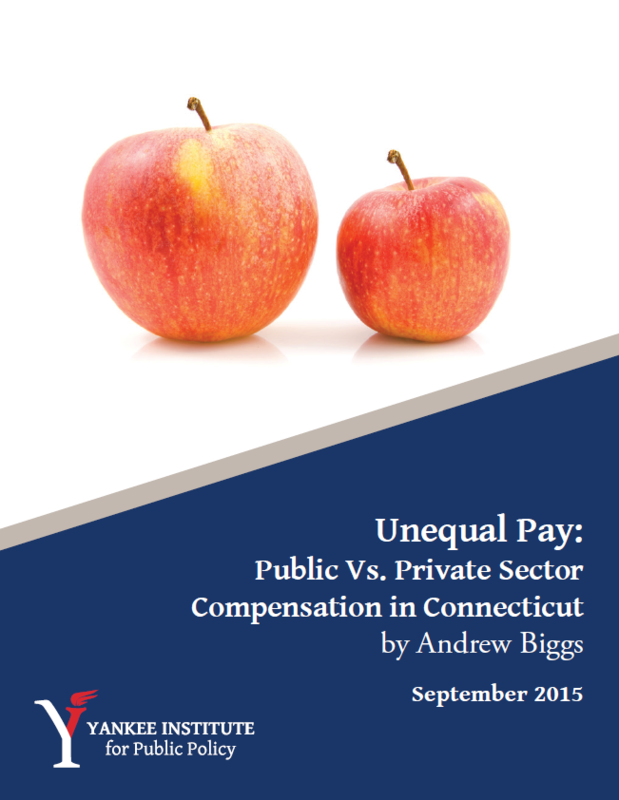 This paper illuminates a pressing need in Connecticut: For our state to achieve economic stability, public sector compensation must be reformed so that it is sustainable for the future. Otherwise, Connecticut will confront a future characterized by both growing taxes and shrinking public services, where, in a worst-case scenario, it could even become impossible for the state to keep the promises it has made to its employees. Reasonable, moderate reforms now can eliminate the need for more drastic action down the road. Ultimately this is an issue of fairness. Private sector employees are asked to pay more in taxes every year so government employees can earn more than they do.